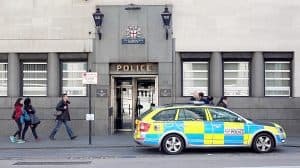 An off-duty City of London Police officer was stabbed in the leg while attempting to thwart an armed moped robbery in south London on Saturday. 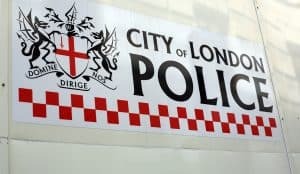 An off-duty City of London Police officer was stabbed while fighting off four armed moped thieves in south London on Saturday. The Metropolitan Police is appealing for witnesses after the 37-year-old officer was knifed in the leg when he tried to intervene in a robbery in Lewisham on 11 August. Police said the officer was stabbed with “a large kitchen knife” as he confronted four men on mopeds who were attempting to steal another moped from a 21-year-old man on Maylons Road. 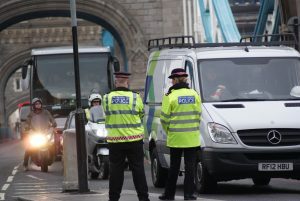 According to a police spokesperson, the officer continued to try and stop the robbery after he was stabbed, and the thieves eventually made off without the moped. The spokesman said: “During the confrontation the officer was stabbed in the leg, but despite this, he continued to confront the four suspects thwarting the theft of the moped until the suspects fled the scene. The victim of the attempted robbery was also assaulted and suffered bruising. City Police officers praised their colleague for his “bravery”. City of London Police Commissioner Ian Dyson tweeted that he was “incredibly proud” of the officer for his actions. Incredibly proud of the off-duty @CityPolice officer stabbed whilst bravely intervening in a robbery on Saturday. Wishing the officer a speedy recovery from this sad and shocking incident. Police have asked anyone with any information about the incident to contact them.